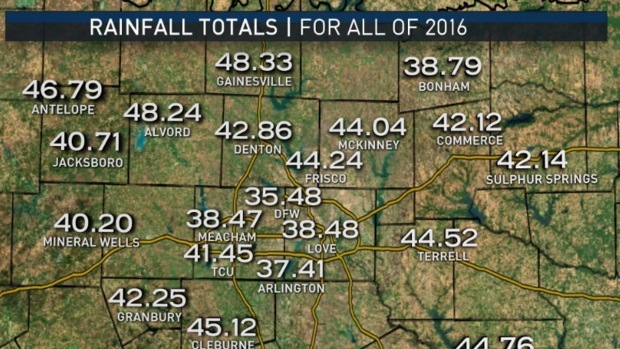 The year 2016 is ending, and DFW is reporting below normal rainfall. The annual total at Dallas/Fort Worth International Airport was 35.48 inches. That is a bit below the average annual rainfall of 36.14 inches. But interestingly, that was also the lowest rainfall total of anywhere in North Texas. 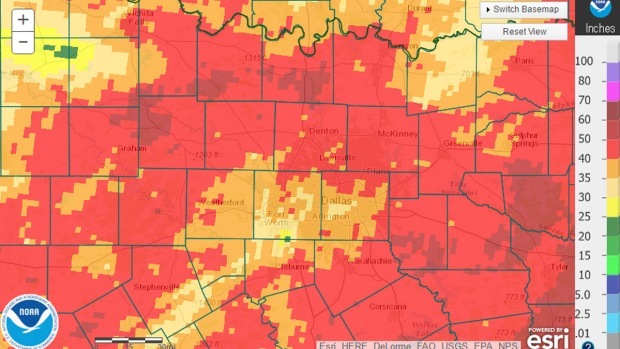 As this map of radar-estimated rainfall for the entire year shows, there is a "doughnut hole" of lower rainfall across Dallas and Tarrant counties. But surrounding areas received much more. That graphic is corroborated by actual rainfall reports from across North Texas. D/FW Airport actually had the lowest total in the area. 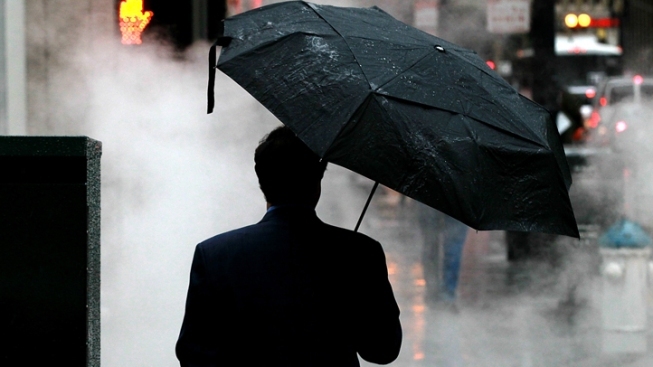 Storms are likely to return at the start of the New Year, from Sunday night into Monday morning. You can read the full forecast here.